You married a superhero. You've given birth to three superheroes. Your name wouldn't, by any chance, Helen Parr, would it? If it is, then you are ready to take on the bad guys and save the world (or maybe just save your hubby)! Some people aren't so keen to open up to superheroes. Maybe they think these heroes will interfere with the world and cause more damage than they fix. Either way, not everyone wants to see superheroes roaming the streets – especially villains. But even though some may keep superheroes out of the limelight, we can’t take their superhero skills out of their DNA. It’s just in their blood to want to help, protect, and serve the public and they’ll do anything they can to make that happen! You can join the ranks of other hidden, yet effective, superheroes this Halloween with our Adult Mrs. Incredible Costume. 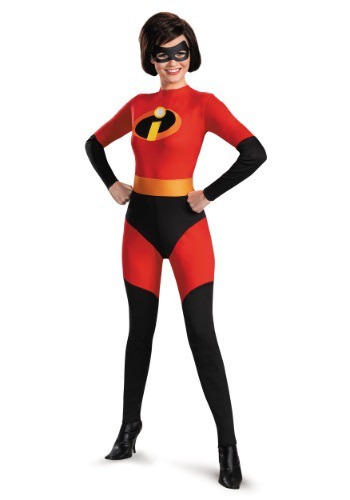 This officially licensed Disney costume comes with a 100% polyester jumpsuit with a Velcro closure in the back for a comfortable so you can save the world as comfortably as possible! The black briefs, ankle cuffs, and wrist cuffs create a look that's straight from the big screen, while the included orange foam belt fastens with Velcro for a pop of vibrant color. Hide your identify with the black foam eye mask which fastens around the head with a clear elastic band. And the best part - no superpowers needed to look like a genuine hero! 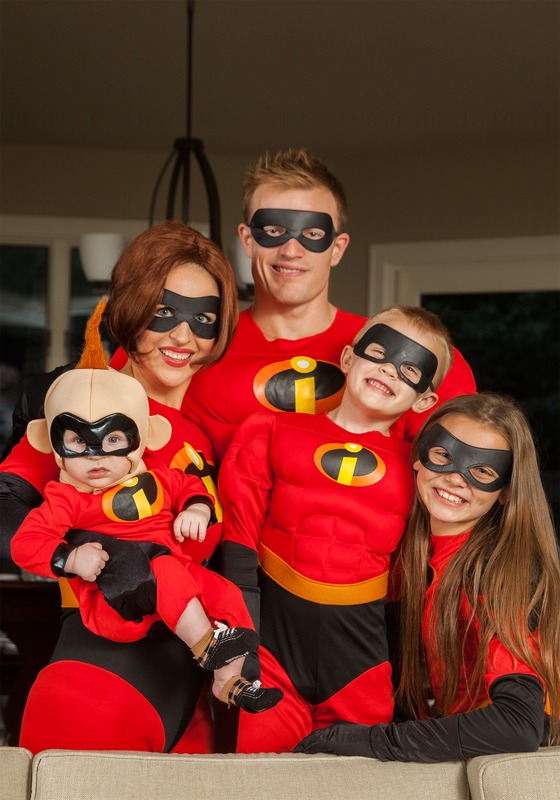 Brilliant costumes and amazing customer service best comapny i'v ever ordered from!